Home Politics Why go to the Circus when you have the AN? Why go to the Circus when you have the AN? 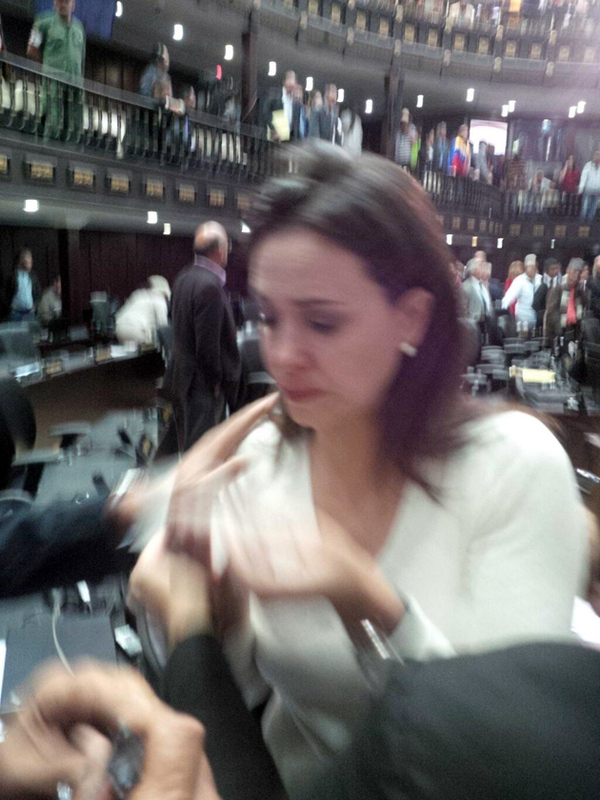 While Maduro and his train of flunkies were busy governing watching a private Cirque du Soleil showing (and ticket holders are lined up out in the rain), the regularly scheduled National Assembly Session got underway, only to be interrupted by this official communiqué smear campaign against Capriles (min. 1:54). While cameras were not rolling inside the National Assembly, and viewers were being treated to said Goebblesian propaganda instead, the opposition bloc brandished a poster, a POSTER, written with the words “Coup d’État to Parliament.” Let’s all remember that opposition representatives are not allowed to speak in Parliament since last week, thanks to Diosdado Cabello’s responsible use of his mandate tyrannical decision. 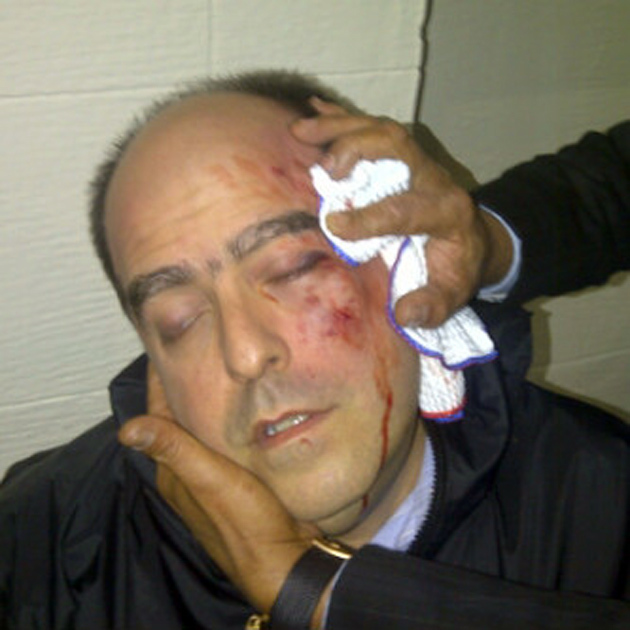 What ensued, conveniently out of the media glare, was an all-out physical assault on opposition MP’s, resulting in a bleeding Julio Borges, a María Corina Machado kicked while on the floor with a possible broken nose, a beaten Ismael García, a beaten Nora Bracho, an Américo de Grazia with a possible fractured leg. The whole time, media access to the AN is only authorized to ANTV, the official Parliament channel, meaning the government has the journalistic monopoly on what footage they choose to show the world. And the have the gall to claim that private media censors the government. Communications Minister Ernesto Villegas helpfully reminded us that as long as Maduro’a antics are not given exclusive coverage news is not properly reported, more and more cadenas will be broadcast. At least he is a man of his word: while we still don’t know the whole story on how this savage seizure of our legislative branch unfolded, luckily there is now a cadena nacional to inform us about the under-17 national soccer team.